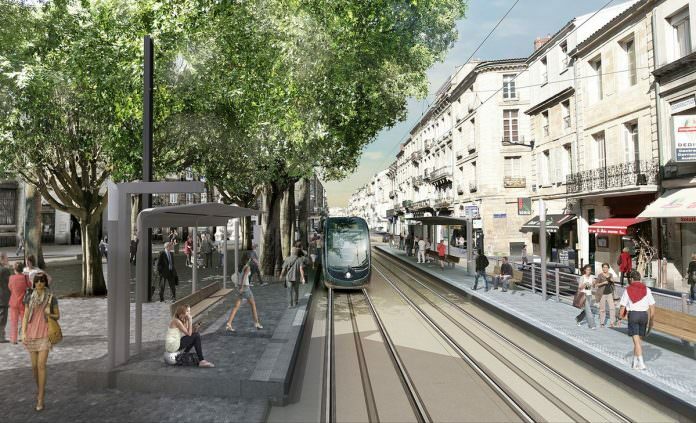 The Eurovia construction consortium has welded the first track on Line D of Bordeaux’s tramway. The consortium is made up of lead contractor ETF, Eurovia Gironde and Moter, all Eurovia subsidiaries. ETF will install the 7.2km of track while Gironde and Moter will conduct the civil engineering, earthworks and drainage. On 90 per cent of the route, anti-vibration technology will be used to minimise vibration nuisance for local residents. The €42-million project is expected to be complete in spring 2019. The new tram line will run from Bordeaux through Bouscat, Bruges, and Eysines before ending in Le Hailan.